We are locally-owned and operated and use an approach unique to the industry, using innovative technology and the most modern methods. Our factory-certified technicians have well over 100 years of combined experience. The technicians are certified with both MATTC and M-CAP. We tell you this so that we understand you can be assured that you can trust the technicians entering your home to have a deep knowledge of the job at hand. We have fully-equipped service vans stocked with appliance repair parts and loaded with all of the necessary tools and specialty equipment needed for today’s advanced machines. This technology, coupled with our high level of expertise, has lead to high customer satisfaction time after time. We also have the largest parts inventory in the area. This guarantees the smallest amount of down time between diagnosing the problem and fixing it! And that means you can get back to your life rather than worrying about your domestic appliance repair needs. 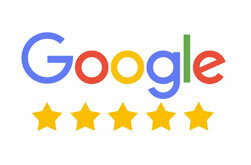 Andy’s is a Certified Service Center (CSC). We must hold ourselves to a higher standard to match the distinction given to a CSC. Certified Service Centers follow a rigid code of conduct and are trusted to be experts in our chosen field. Schedule your appliance repair appointment today! Andy’s Appliance Repair & Parts House is Scotsman factory-trained and authorized to provide affordable appliance repair to the folks of Omaha. We are factory certified to perform warranty and non-warranty appliance repair services for any and all of your Scotsman appliances, old or new. If you are in need of residential appliance repair on appliances like ranges and ovens, ice makers, dishwashers, fridges, washing machines, dryers, and more, Andy’s Appliance Repair represents an ideal blend of quality and value. We don’t charge you an arm and a leg to get the job done the right way. We’ve been serving Omaha, Lincoln and beyond with quality kitchen and laundry appliance repair for over 45 years, so it’s safe to say we have an understanding of what this industry and our customers demands. We conduct ourselves with the utmost professionalism while in your home. 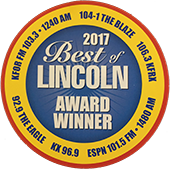 That means we are the experts in Western Nebraska for everything appliance repair related for all brands, makes and models of residential appliance. We treat your home, belongings, your pets and you with courtesy and respect. We treat you like we want to be treated and we think that’s only fair. We protect the surfaces in your home from scratches, dirt and damage. We even put booties on our feet before we enter your home to keep from traipsing mud into your house. We place our tools on a pad to keep from scratching the counters. People have come to trust Andy’s Appliance service because we are reliable. We stand by our 2- hour appointment windows that we’ve made and only move forward with repairs once we get your permission. An example of our commitment to excellence, is we won’t ring your doorbell when we come to your place, just in case there are any little ones laying down for nap time! We are dedicated to finding you a quick, affordable appliance repair solution so that we can get your busy life and schedule back on track because we know how disruptive a broken appliance can be to an active family. Our customer service team will call you the day prior to confirm the appointment. We also send an email confirming the appointment with the name and photo of the technician who will be on your door step the following day. Our technicians arrive in clean, well marked vans and pressed uniforms. We do this to remove uncertainty and replace with confidence, because you called Andy’s. We’re friendly, professional and reliable, and we’ll get the job done in a timely matter. For many of our customers, this thrills them because it means they don’t have to take the entire day off of work, and neither do they need to stress about some random person showing up at their house. Scotsman ice machine originated in 1921 and began selling ice chests, heaters and a lone commercial ice machine. The ALI Group bought Scotsman Industries and has brought their machines to the global ice machine market. Making ice might seem simple but is actually far from it. How to make ice pure from contaminants, how to make the ice appealing and without bubbles that make the cube look cloudy? In the 1950’s Scotsman brought innovation the the ice maker. Today, Scotsman Ice Machines are sold in over 100 countries around the world and manufactures a wide range of ice machines from cubers to flakers to large volume models and even luxury home appliances. More than 60 years after creating the first ice machine, Scotsman remains an elite name in the food prep equipment world. The company continues to strive for their original goal – a cleaner, purer form of ice. As As technology advances so do Scotsman ice makers and equipment. Currently the researchers ad Scotsman are working on developing new ways of making sure ice is sanitary and save including O-zone applications. We have in-house, professionally-trained and certified technicians who are experienced in working on non-warranty and warranty appliance repair for Scotsman Ice Machines as well as all brands, all makes, and all models of home and domestic appliances. 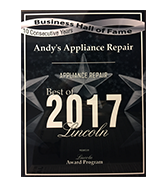 So no matter if you are looking for Scotsman ice machine repair, KitchenAid oven repair, or are experiencing Wolf cooktop problems and don’t know where to start, give Andy’s a call for reliable Omaha appliance service. Once we diagnose the issue, we will explain the problem and give you our recommendation for a solution, along with a quote and timeline. Once we agree on a plan of action, we’ll get to work! We only use factory OEM original parts for all repairs to keep your machine running safely according to factory specifications. Keep in mind we offer an industry-leading 1 year parts and labor GUARANTEE for the work that we do. 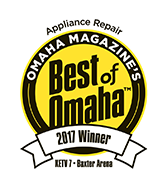 We’ve Got You Covered with Omaha appliance repair!